People. They are a company’s greatest asset. bars, trail mix, fresh fruit, etc. coolers, brewers, bulk dispensers, etc. soft seating, open floor plan, etc. If you like, we can even provide full- or part-time attendants to stock shelves, clean-up, reorder supplies and perform other daily tasks to ensure your pantry is always inviting and enjoyable. 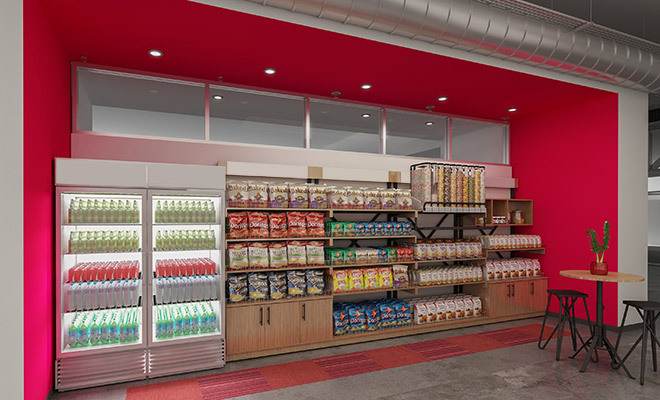 To make sure your pantry space is always fresh, your dedicated account representative will regularly share new product ideas and suggestions to ensure your pantry program always inspires and engages your associates. Contact us today to start designing your customized pantry program.